Bryce Coward writes for Knowledge Blog…. Both indicators can’t be right, so which is actually the most useful in telegraphing economic activity? From my perspective, it’s lumber, despite its rather lesser educational attainment. The reasoning is simple. 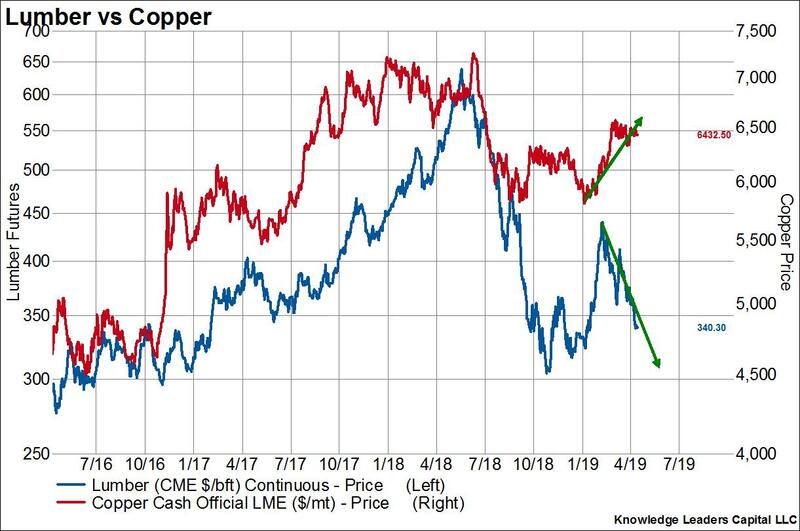 Lumber has a leading relationship with leading indicators of economic activity while copper has a coincident relationship with leading indicators of growth. Yes, you read that right: lumber prices are a leading indicator of a leading indicator, and the data bears it out.